This past weekend saw numerous plants given away to excited owners. 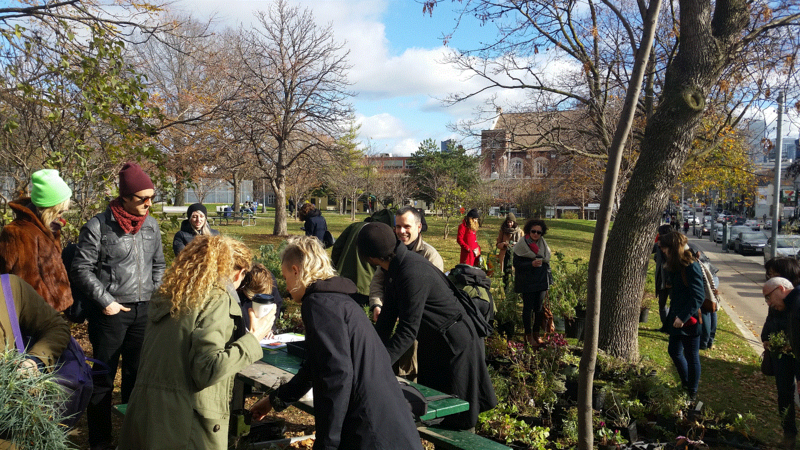 On Saturday November 14th, the West Queen West BIA handed out dozens of plants, marking the beginning of the winter season by reusing formerly decorative plants. 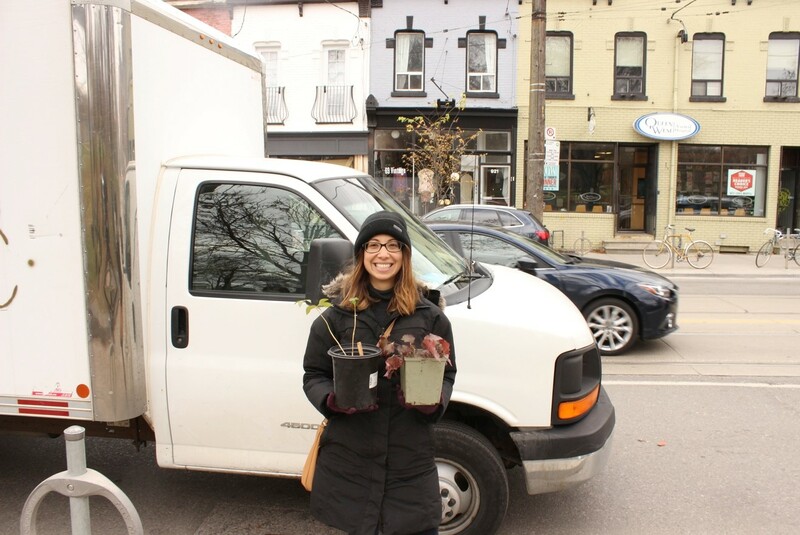 These former inhabitants of the BIA’s planters were gently re-potted and readied for adoption from the official nursery truck stationed at the entrance of the Trinity Bellwoods Park. 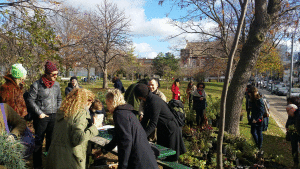 The crisp morning drew crowds of spectators, locals, as well as would-be owners who eagerly awaited their turn to pick out a couple of plants and ask the gardeners questions. 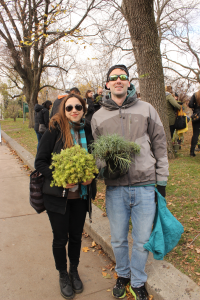 There was even an adoption booklet to fill in! The first annual adopt-a-plant event marked West Queen West’s beautification project that began in the spring season which saw planters given new flowers, herbs, and other fauna to grow. As the winter season approaches, any trees or plants that would not make it through the winter were replanted into more user-friendly pots for local residents to take into their homes and give a second chance. As a result, over 50 species including various herbs such as Sage and Pea shoots to Passion flowers and Coral Bells to strawberries were given away. 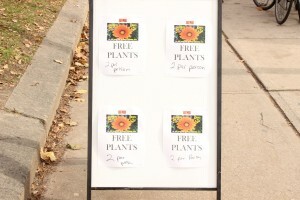 A limit of two per person was followed in the hopes that many more hands would kindly adopt these plants. 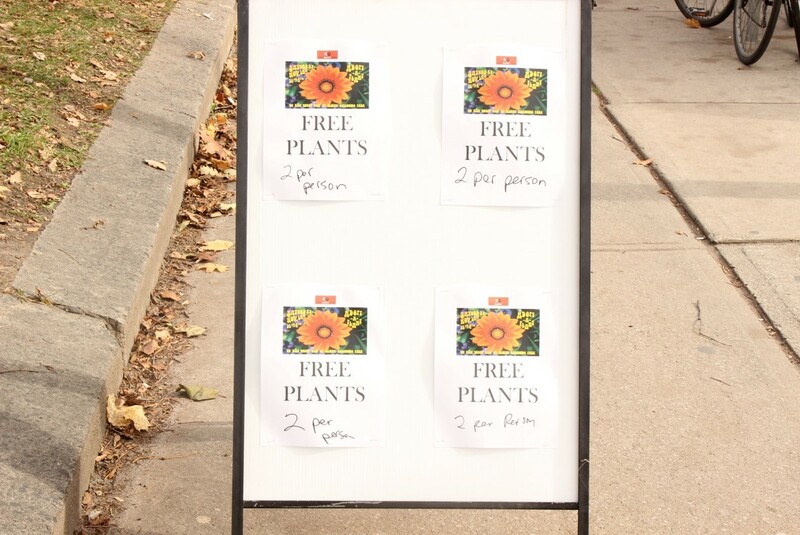 Originally booked for a good chunk of the day, from 11 am to 4 pm, the give-a-way was so successful that by 1 pm, there were no plants left. 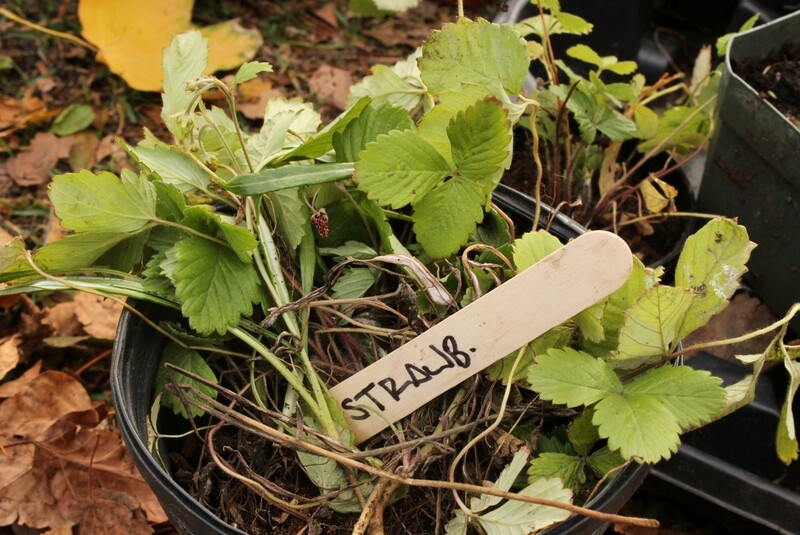 As part of their beneficiary properties, plants helps boost our immune system, help us breathe better, and clean the air. 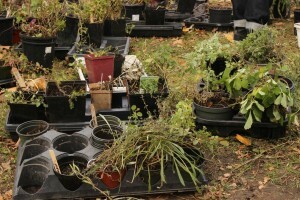 Make sure to give lots of sunlight to your plant, and water appropriately. 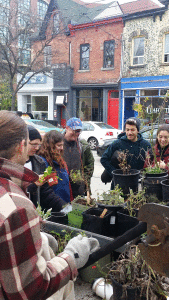 With help from the West Queen West gardeners, and many thanks to the White Squirrel coffee shop for giving out free hot chocolates, as well as all those who came out, the West Queen West was able to celebrate their continued efforts at sustaining the environmental.